A marquee for Harrah's Las Vegas hotel and casino is seen across the Strip from Caesars Palace in Las Vegas, Nevada in this July 15, 2004 file photo. Activist investor Carl Icahn and his affiliate funds disclosed a 9.8 percent stake in casino operator Caesars Entertainment on Feb. 19. In the filing, Icahn said he believes that the company is undervalued, plans to speak with representatives of the company’s board and may nominate a slate of directors at the 2019 annual meeting. Icahn’s stake includes convertible bonds and shares, as well as swaps that represent an economic exposure to around 10.7 percent of the company’s outstanding shares. Caesars said the following day that it expects to “continue a constructive dialogue” with Icahn and “carefully evaluate” his suggestions. On Feb. 21 the company said fourth-quarter net revenue increased 7.4 percent from $2 billion to $2.1 billion. 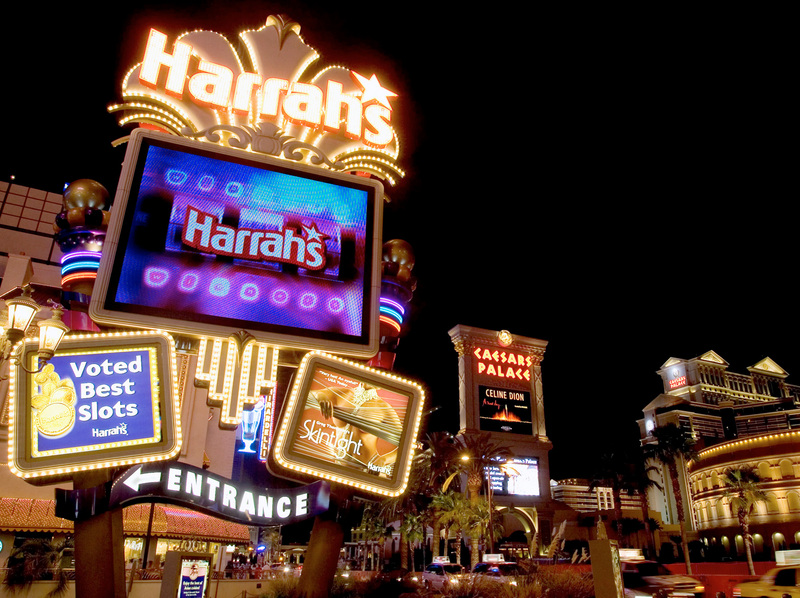 Excluding the acquisition of Centaur, a casino and race track it bought in 2018, the company’s revenue was up 1.2 percent.